Hypercuts (UPDATED 2019)– Does it Really Work? Hypercuts – Does it Really Work? According to its creators, Hypercuts is a thermogenic stimulant meant to boost your metabolism and improve the way your body turns food into energy. Frankly, we think it’s courteous for the makers of this to let us know how it works, because it might have been a little hard to guess. The Hypercuts formula contains a lot of relatively new and untested ingredients. Not to get ahead of ourselves, but we don’t feel too good about those. Let’s look at the rest of Hypercuts and see if it’s worth giving a try. Hypercuts is produced by CTD Sports. CTD Sports is located in Conroe, Texas and seems to be a bit of a new player in the supplement market. 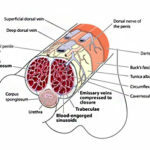 CTD ] sells a wide variety of health products in addition to Hypercuts, as well as CTD Sports apparel, like t-shirts and sports caps. They also have links to various social media accounts. How (and) does Hypercuts work? Hypercuts consists of a stimulating thermogenic formula containing ingredients like caffeine, naringin, and capsicum annum. These ingredients can commonly be found in supplements like this because they can allegedly boost your metabolism. A boosted metabolism means that your body can turn more fat into energy than usual. If your metabolism burns more fat, there won’t be as much fat left over to be stored in your body, so you won’t gain any weight. If you boost your metabolism enough, it may get to the point where it’s capable of burning the fat that’s stored in your body, eliminating it and helping you slim down. There aren’t too many independent reviews of Hypercuts on the internet, but the ones that we could find were actually positive! Users seem to enjoy the boost in energy Hypercuts provides, and nobody seems to have experienced any significantly negative side effects. 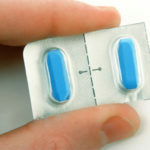 We’re a little wary of Hypercuts’ formula, as it seems to be mainly made up of stimulants that bear more than a little resemblance to amphetamines. Amphetamines can be really bad for your body. Even worse, these stimulants haven’t been researched that much. That means that there’s no real telling what side effects that might result. Caffeine: a staple of supplements like Hypercuts. This ingredient is used to keep you feeling alert and energized. There’s a possibility that it could improve your metabolism. Naringin: this ingredient can apparently keep caffeine in your body for a longer amount of time, prolonging its beneficial effects. Capsicum Annum Fruit Extract: an extract of chili pepper included because it might be able to boost your metabolism. Rauwolfia Vomitoria Roof Extract: a Nigerian ingredient that may increase the rate of lipolysis in your body. Lipolysis is how your body breaks down fat. Huperzia Serrata Club Moss Extract: this ingredient is completely unrelated to weight loss. 2-Amino-4-Methylpentane Citrate: one of the many stimulants included to boost your metabolism. Higenamine HCI: another stimulant. That hasn’t been tested that much either. We don’t really know if it’s safe or effective. R-Beta-Methyphenylethylamine: another inadequately researched stimulant. There are a bunch of weight loss supplements with natural ingredients in our top 10 list. We’re a little worried about how little research has been done on some of Hypercuts’ less recognizable ingredients. We’re especially concerned because they look a little like amphetamines, which could have some serious side effects; they could even become addicting. There are minor side effects too. The caffeine in Hypercuts could give you the jitters, headaches and heart palpitations. CTD Sports offers a 5$ flat rate shipping deal on all orders. Quite a few of Hypercuts’ ingredients haven’t been researched at all. We’re always hesitant to recommend supplements with relatively new ingredients for two reasons: not only may these untested ingredients not be effective, but they may not even be safe. Considering how much these ingredients look like amphetamines, they may very well result in dangerous side effects. You can find more worthwhile supplements on the market for the same amount of cash. 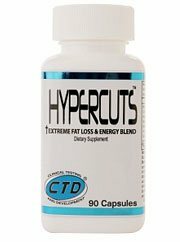 Hypercuts is a thermogenic weight loss supplement. It’s allegedly capable of boosting your metabolism. We don’t feel good about this supplement containing stimulating ingredients that resemble amphetamines and have not been thoroughly tested yet. Hypercuts’ reviews say that it may actually help you lose weight, you should be cautious taking any supplement with ingredients as untested as the ones in this product. Just because Hypercuts users have not experienced any detrimental side effects so far doesn’t mean that its ingredients are safe for you to be consuming. 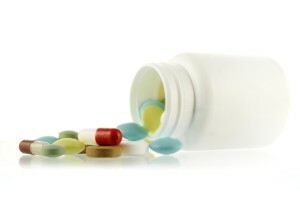 Taking supplements that are practically still being developed is always a risk. 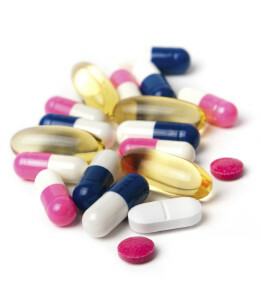 Instead, we recommend relying on supplements that have been well studied and proven to be safe and effective. We recommend looking for a weight loss supplement with ingredients that are proven and safe.